﻿ Voter Lu Moorkulu! Who Said It Publicly? Voter Lu Moorkulu! Who Said It Publicly? In a recent review, Ram Gopal Varma didn't hesitate to say 'Voter Lu Moorkulu, Rajakeeya Nayakulu Telivainavallu' ahead of Telangana Assembly Polls. Quickly, The Interviewer described Varma as 'Double Moorkudu'. They had even decided to seek the opinion of public to know who is right. 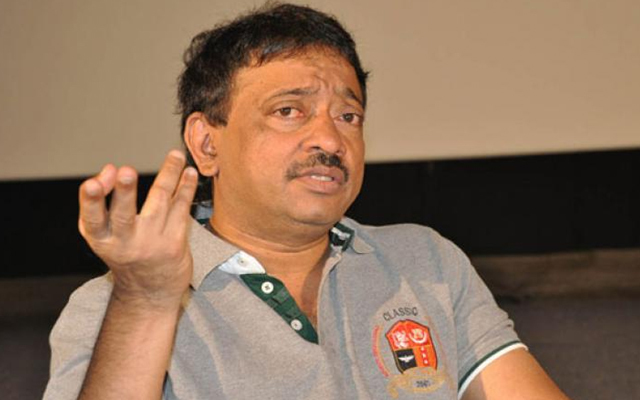 RGV claimed he never exercised his right to vote as he lacks time and doesn't bother whichever party might rule. He went on to say people hardly know about Manifesto and those attending public meetings/rallies don't even try to understand what the leaders have been speaking. Ram Gopal Varma & The Interviewer questioned the public whether they have any idea about the manifestos. First of all, They approached the Mahakutami Leaders who waited outside the TV Studio. While one of them opined RGV is known for controversies, Other person termed Varma as 'donkey' and found fault with the channel for inviting such a person for debates. Thereafter, RGV and Mediaperson has gone for a ride on two-wheeler. Though people admitted they won't go through each and every point in the manifestos, Most of them claimed to be preferring the best option they find among all the parties based on their understanding. An Elderly Person told Varma: 'Voters aren't bakras..that's a wrong statement made with half-knowledge. Had if people are goats, NTR wouldn't have won in 1983, Kejriwal wouldn't have won in Delhi and Telangana People would have voted for Congress instead of TRS in 2014'. Instead of Helping, Did Jana Sena Ruin TDP Chances? Aspiring For Cabinet Berths Even Before Results! Maharshi's Padara Padara Song: Bang On Target! Photo Story: Pooja Just Dusts Off Her Stress! What Is Really Going Wrong With Maharshi? Photo Story: Telugu Beauty's Navel Curve! Photo Story: Cute Lady Stretching Her Leg!